On Tuesday November 4th, Dr. Irma Zuniga joined the staff at the Dr. Otto Rodriguez Polyclinic II. Originally from Corozal Town, Dr. Zuniga is the new dental surgeon stationed at the island clinic. 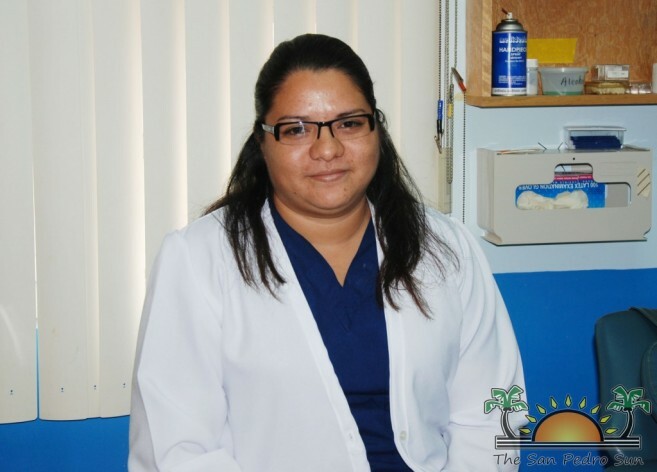 Zuniga studied dentistry at Universidad de Valladolid in neighbouring Yucatan Mexico, and has since volunteered as a dental surgeon in various clinics in Mexico, and also at the Northern Health Region in Corozal Town. Her assignment to the Polyclinic will be her first assignment as a full time surgeon. Dr. Zuniga looks forward to serving the community of San Pedro Town and encourages patients to come in for regular check-ups. Dr. Zuniga will assume duties on Monday, November 10th. The dental clinic is located on the second floor of the polyclinic and will be open from 8AM to 12PM, and 1PM to 5PM Mondays through Fridays. They will be serving children, pregnant women and adults. In addition to seeing patients at the clinic, Dr. Zuniga will also be making school visits, to be organized through the Ministry of Health and local school administrators. The San Pedro Sun extends a warm welcome to Dr. Irma Zuniga.